Things are getting really, really bad in the socialist nation of Venezuela, so much so that citizens in the country have been reduced to eating rotten meat. Yeah, that whole “share the wealth” thing doesn’t seem to be working out too well for these folks now, does it? If only liberals could get it through their heads that no matter how many different ways you try it, socialism ends the exact same way. The reason so much of the meat has gone rotten in the country is because refrigeration units have been shut down due to rolling blackouts. But that’s not the only reason. Another reason for the rotten meat is that runaway inflation has made the currency nearly worthless. 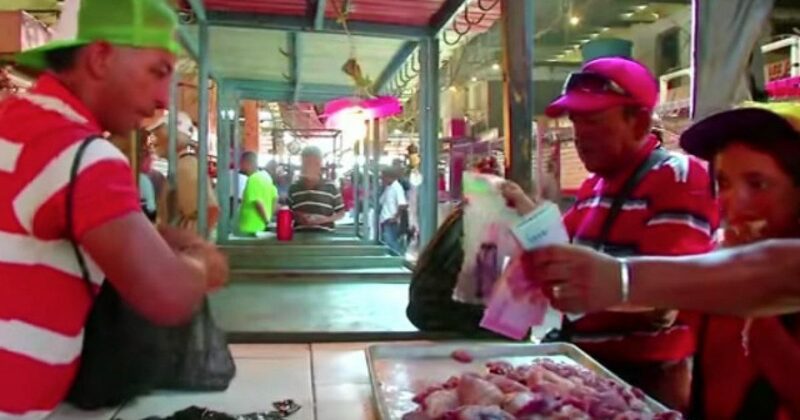 Venezuelans are unable to buy fresh meat, and have to settle for eating rotten meat. Prieto told The Associated Press that he ground up a rotten side of beef and mixed it with fresh meat in order to mask the spoilage. The Venezuelan government has tried to slow its inflation woes by demonetizing the money, the Bolivar, and increasing taxes. According to the International Monetary Fund, inflation could climb to a staggering 1 million percent by year’s end. The government has also revoked a benefit they were previously offering to citizens — lower gas prices — unless they now register for a state “fatherland” identification card. This is absolutely horrifying in every conceivable way. There’s no other way to fix this than for Venezuela to abandon socialism and adopt a free market system. How they would do this and what it would look like to make such a drastic transition is up for debate. If something isn’t done soon, lots of people are going to get sick and die from eating this rotten meat. This, kids, is the fruit of big government. And the left wonders why so many folks don’t want it? Donald Trump Jr. May Have Solution for Liberal Bias on Social Media. Here’s His Idea.